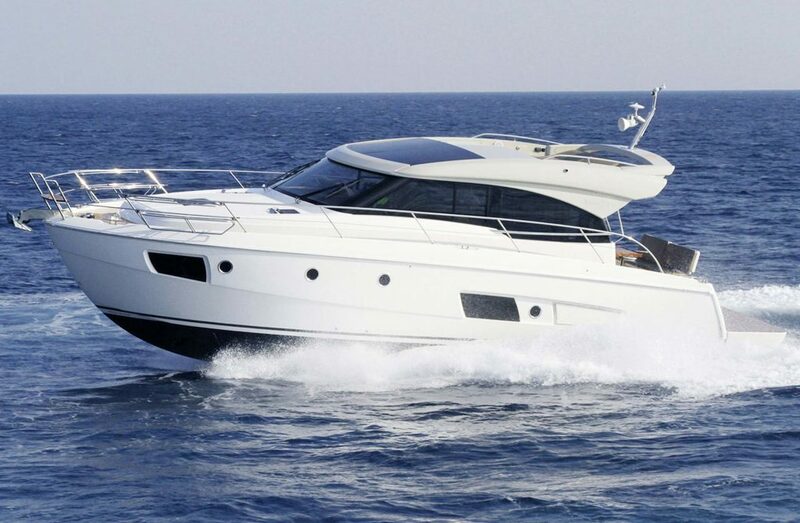 The Bavaria Virtess 420 Coupe feels as if you were at the wheel of a convertible, the ambiance of a fine dining restaurant on the aft deck, the luster of a suite at a 5-star hotel in the saloon or the three cabins and driving dynamics of a German luxury class sports car. 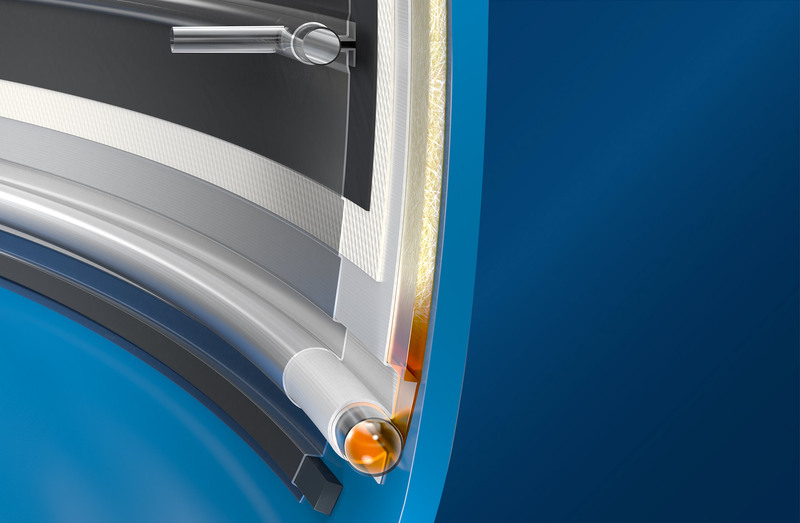 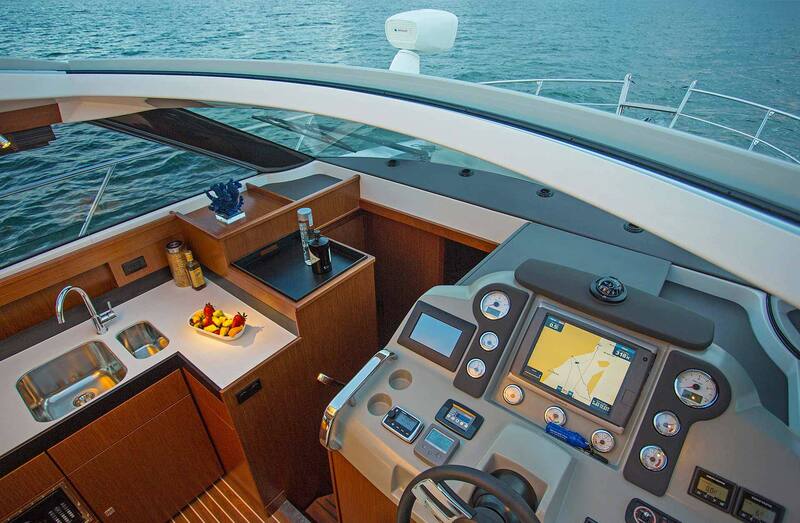 From the moment when you are controlling the Bavaria Virtess 420 Coupe powerful drives with a few small movements of the joystick to steer her out of the marina, you realize with just how much precision a VIRTESS can be maneuvered. 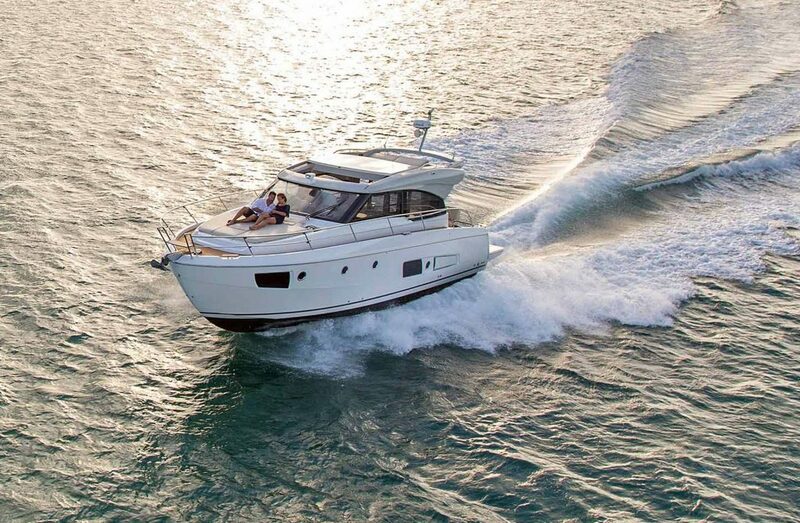 Bavaria Virtess 420 Coupe is the perfect family yacht, and winner of the 2015 European Boat of the Year. All systems can be operated from the Helm station, the Volvo engine control and the Aquatic joystick, the Bavaria touch screen panel, the Simrad chart plotter, the search light, the windlass, the generator etc. 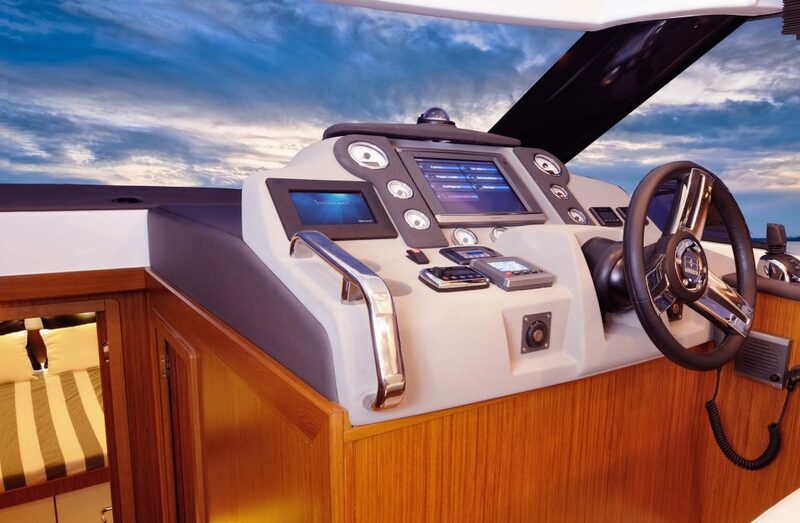 Award wining cockpit system that allows the furniture to be move using a track system, with several options possible. 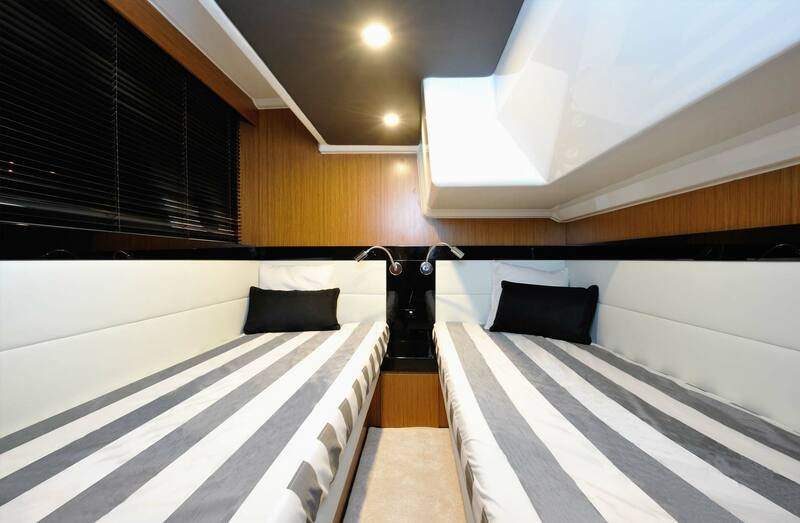 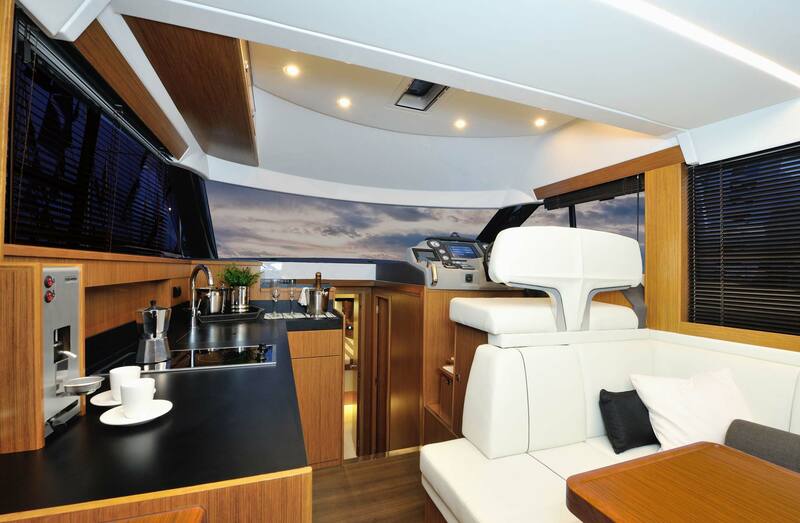 The Virtess 420 reflects a sophisticated design focused on the boating experience. 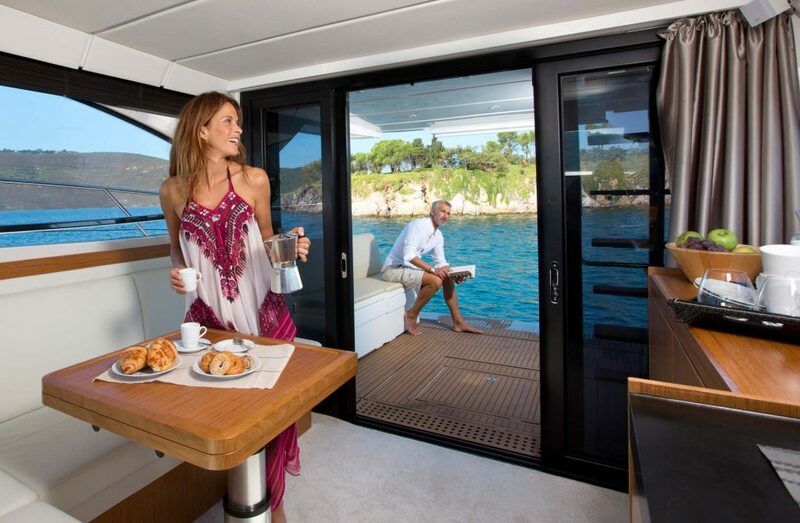 This is achieved in large part, through the harmonious interplay of indoor and outdoor spaces. 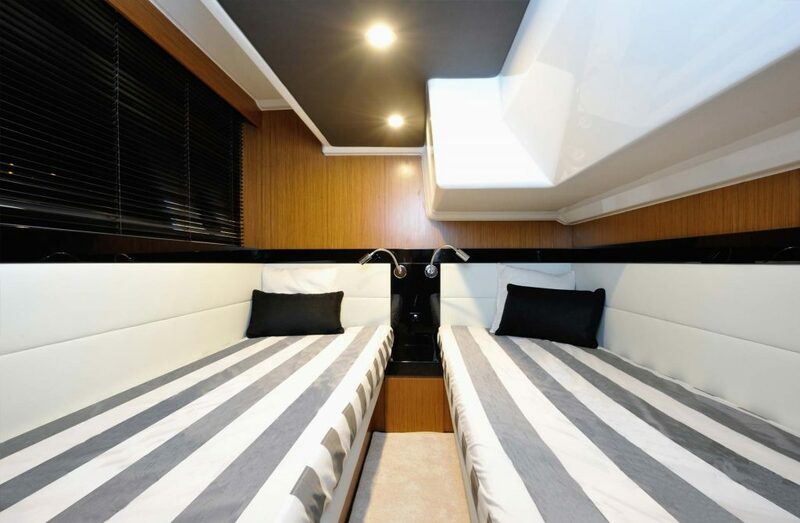 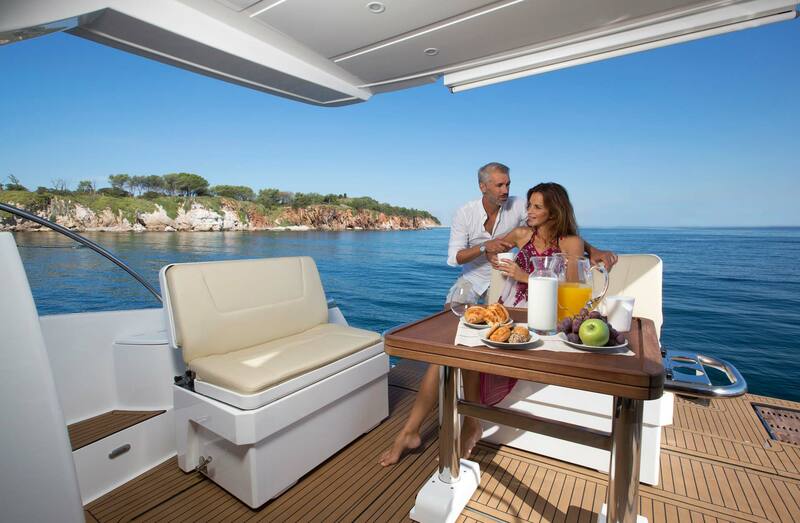 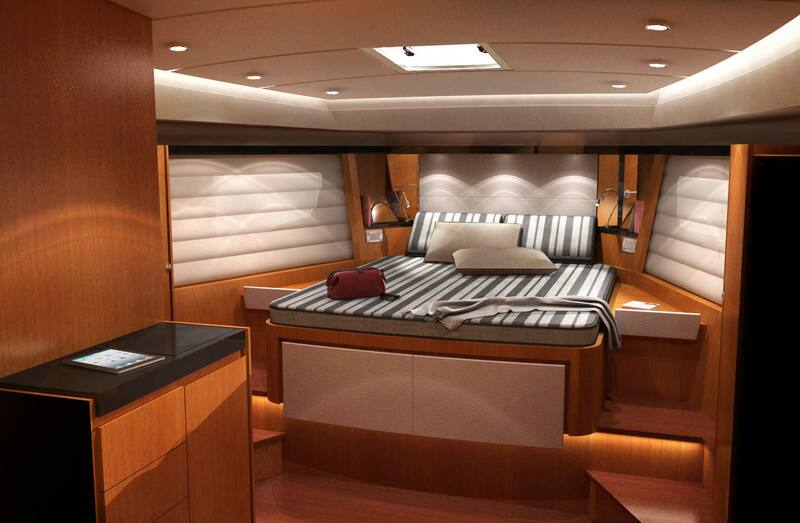 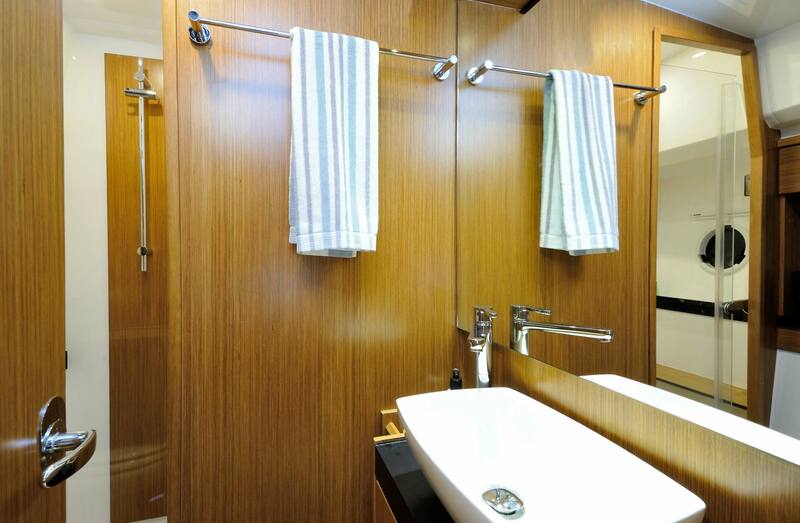 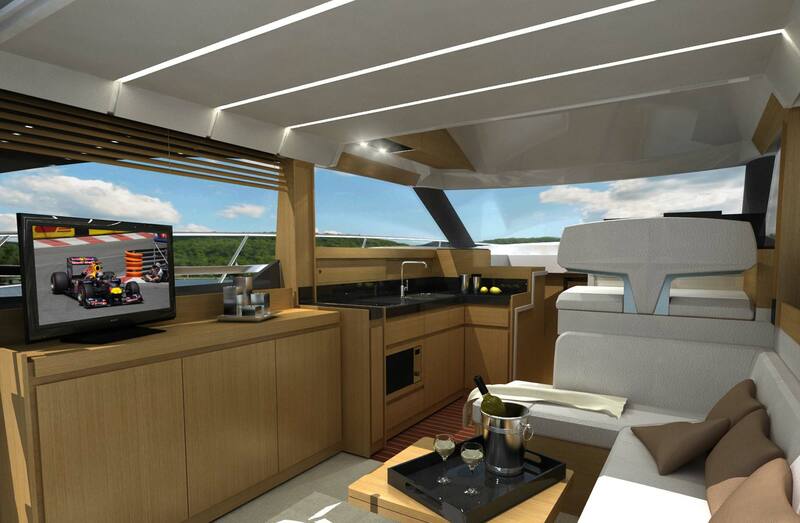 An open floor plan creates generous, connected social zones throughout the boat. 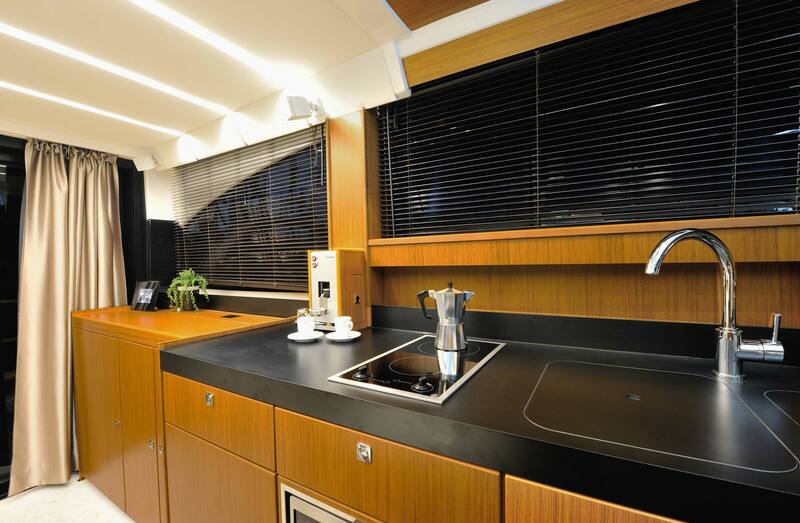 These zones include a spacious salon that features an electrically opening skylight, a gourmet-ready galley, a table and a couch. 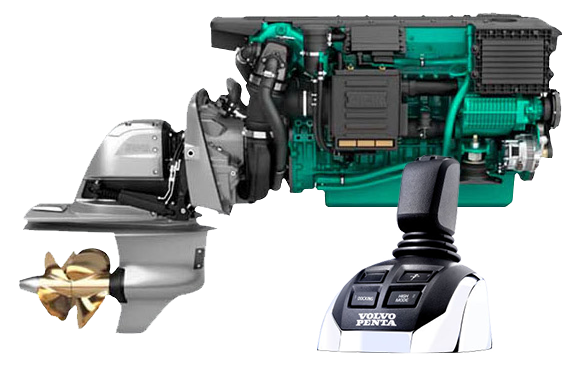 The Virtues 420 driving is safe and feels solid like a large yacht, thanks to the stable Volvo Penta pods drives. 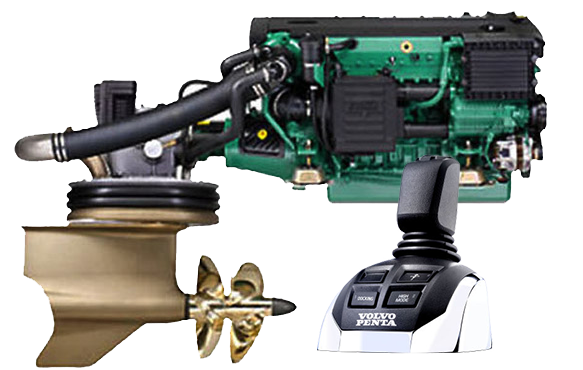 Volvo Stern drives are available for special low water access. 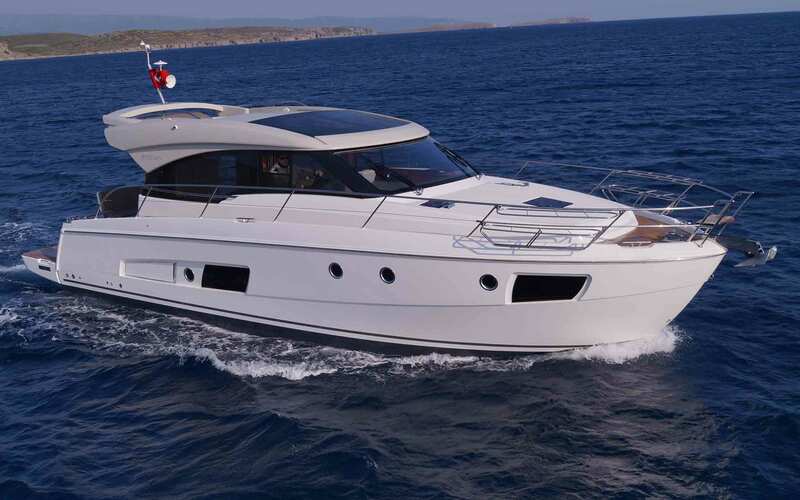 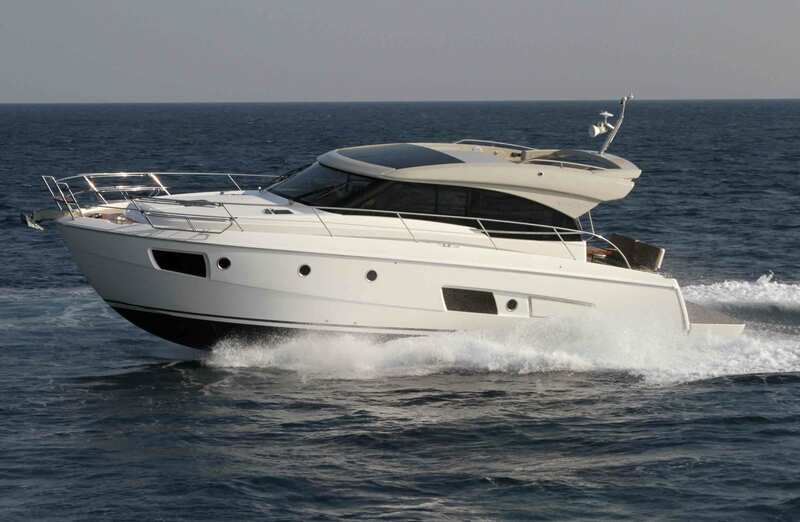 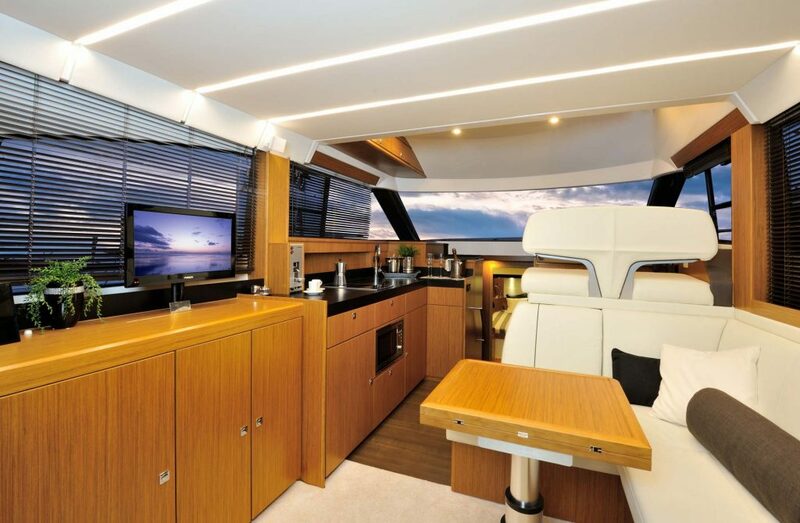 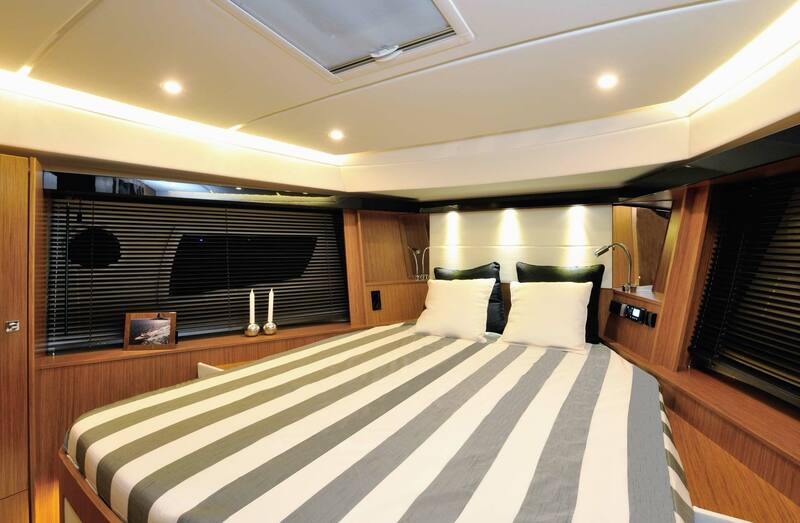 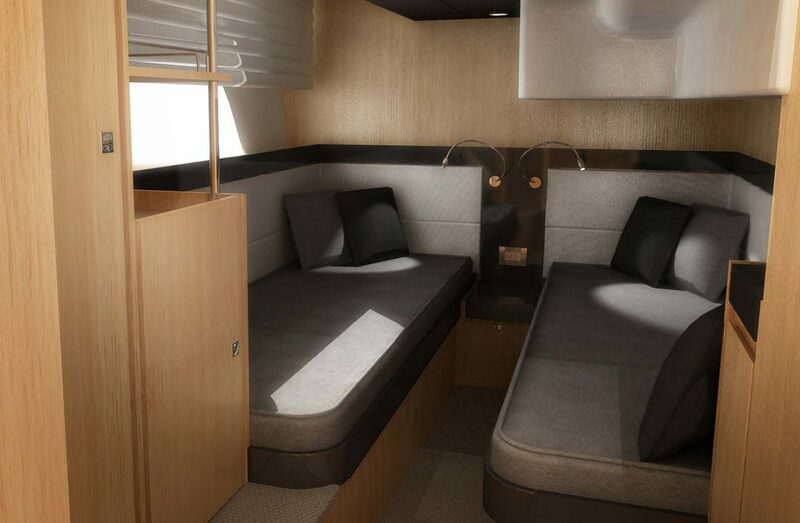 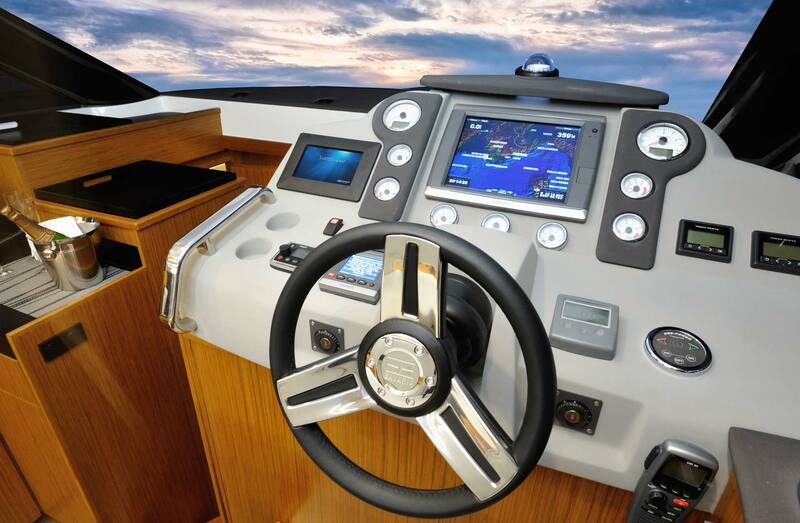 Do you want to configure a Bavaria Virtess 420 Coupe ?